Praying that all of us will receive New Hope, New Dreams, New Visions and New Blessings as we welcome the year 2010. A Prosperous New Year for all of us! Christmas season is here once again, and all people are going gaga buying toys and clothes for the children, gifts for grandchildren, busy preparing for parties, and of course, thinking of the best food to cook for the noche buena. A close relative won a Fire Magic Grill from a raffle during their Christmas party in the office, so we are planning (and excited) on making a dish out of it for the midnight meal on the 24th. However, since we have been preparing pork barbecue for three years in a row, we are contemplating on cooking grilled chicken this time. Another thing is, children love chicken better than pork. For some of you who are not very much familiar with Fire Magic Grills, they have been in the international market since the 1930s. Artistically designed and stainless-steel made, Fire Magic Grills will surely complement your garden setting. Aside from that, there are different designs and models to choose from, so you can be sure to find the one the suits your garden or your patio. Needless to say, you can also choose the one that fits your budget. Mind you, some of their models are a bit expensive, that is why my relative was so happy upon knowing the price of the grill item that he won during the raffle. But of course, when you really value the quality of service, the durability and the sleek design, you wouldn't feel sorry to have bought a Fire Magic Bbq Grill even if it costs a bit higher than the rest, because you can be sure that you have bought with you the best option in grills. As we look forward to the long holiday season (Christmas and New Year), let us remember to give special quality time with our families, friends and loved ones. How do you define Christmas? Let the children enjoy what the adults pay for. As we go on with our christmas traditions, shopping rush, gift-giving and parties, may we always be reminded that the reason why we celebrate christmas is because God has sent His only Son Jesus into the world to save us from death and give us eternal life. The Commission on Elections (COMELEC) has announced its official list of Presidential, Vice Presidential, and Senatorial Candidates for the coming national elections in May 2010. Independent candidates—Satur Ocampo, Liza Maza, Sergio Osmeña III and Jovito Palparan Jr. This past few months, I have learned the value of spending quality time with my family. They say that it is not actually the frequency or the amount of time that you spend together, but what you do during those quality time with them. A great way of spending time with your partner and your children is by cooking together outside the house. 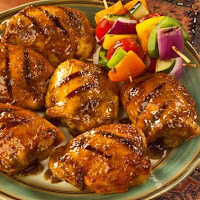 Whether it be grilling barbecues or making vegetable salad or just sipping juice while eating your sandwiches, it will sure to create a wonderful experience with everybody. Realizing the need for times such as these, manufacturers have started to conceptualize and create equipments that will cater to our needs for a wonderful and beautiful Outdoor Kitchen. Gone are the days when the only available equipments are the ones that are easily set-up but are easily damaged due to poor quality. A very fine example would be Viking Grills; the one I saw one time at a posh restaurant in Greenbelt, Makati City in the Philippines. Viking grills may be a more expensive than the usual but they are Stainless Steel Grills that fit well with your outdoor kitchen simply because they are elegant-looking, and will surely impress your neighbors and guests. Since these types of grills are made of high-quality materials, you can be sure that they are durable and will not be easily damaged. Much more, since the material is stainless steel, they are easy to clean up. Get your children involved! Give them chores to do when you are out cooking. You may want to ask their help in mixing the ingredients needed for your barbecues. The bigger ones can be trusted in looking after the meat to ensure that they are grilled properly and are not overcooked. Of course, the cook out activity may not be that expensive. There are other brand of grills that are more affordable. It actually depends on how you want your Outdoor Kitchen to look like. You will definitely not want to buy a big grill if you only have a small outdoor space. Or, you may also opt to buy small grills that can also be brought to travel if you want to camp out for a Family picnic. In the end, no matter what you and your family do, it is always the quality of time and activity that matters. Time and again, our nation’s future is slowly being defined as history unfolds itself into our very eyes. Early this year 2009, about six or more candidates are inching their way trying to get to the top slots in the presidential surveys conducted by the SWS and Pulse Asia. The surveys, of course, are a big indicator in determining the winnability of candidates in the coming election. However, as God Himself has orchestrated the times and seasons of our nation, the historic death of former President Corazon Aquino in August 2009 has strongly influenced the way the Filipino people will choose its next president. It is as if death created a spark of change in our political situation. With the sympathy pouring generously for the Aquino family, the whole nation watching in the streets and on national television as the queen of democracy is paraded to his final resting place, the eyes of the people saw a new brand of leader in the person of Cory’s son Noynoy Aquino. Days after, people are clamoring for Noynoy to run for president. Then Liberal Party standard-bearer Mar Roxas announced that he is taking the sacrifice of bowing out of contention to give way for Noynoy’s candidacy. He is seconded by Ed Panlilio and Jojo Binay, also moving out of the race. A lot of political analysts are skeptical on Noynoy’s capability, however. As they say, he is just fortunate enough on being the son of Ninoy and Cory. But with the surveys showing a big upsurge of Noynoy’s name from nil to top since Cory's death, we can only assess that Noynoy has become a person to beat in 2010. No doubt, Noynoy became a sudden popular candidate due to the death of Cory, which happens to be about the time when political parties are trying to gauge whom they will finally endorse in November’s certificate of filing of candidacy. With the other hopefuls bowing out of the race and the administration’s Lakas-Kampi finally announcing their selected standard-bearer, we are now down to three big names vying for the top post- Manny Villar who has the money and the longest preparation, Gibo Teodoro who has the machinery and the backing-up of businessman Danding Cojuangco, and Noynoy who has the popularity and sympathy of the people. Now, the focus is suddenly shifted from the candidates to the voting populace. With the money, machinery and popularity evenly distributed among the three formidable candidates, the people are given the immense power to choose who among them will next reside in the palace. As we choose, may we not give weight on the above-mentioned capabilities, but rather concern ourselves in identifying what our candidates has done in the past and what our candidates can do in the future. We must do our research and find out their track records as public officials. Equally important, we should also be aware of what they can promise to do have they been given the chance to become president. Now, more than ever, the voting people can become the catalysts for change in choosing the right person who can bring about hope for the Philippines. Kundi lang talaga kailangan, hindi ako pupunta ng Divisoria. Napilitan lang kaming magpunta ni Misis dahil kailangan naming bumili ng souvenir para sa kasal ni utol. Dahil nga christmas season na, sobrang dami talaga ng tao. Dito mo talaga mararanasan yung maglalakad ka kahit ayaw mo, dahil sa ayaw at sa gusto mo, itutulak ka ng tao pasulong. 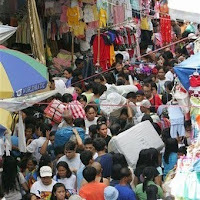 Sa Divisoria, walang mayaman, walang mahirap. Lahat ng tao, pantay-pantay dahil lahat sila, lumalakad sa iisang maputik na daan, nakikisalamuha sa lahat ng tao, kumakain sa pare-parehong foodstand at foodcourt, nakikipagsiksikan, nakikipagtawaran. Inabot din kami ng halos isang oras papunta sa may Adora kung saan kami umorder ng souvenir. At dahil nasa Divisoria na rin lang kami, nagpunta na rin kami sa 168 Mall para tumingin ng christmas gifts para sa office at para sa mga inaanak. Ngayon ko lang halos naintindihan kung bakit napakaraming tao ang nagpupunta sa Divisoria araw-araw (lalong lalo na kapag christmas season). Napatunayan ko na kung may isang bagay kang gustong makita o mabili, pumunta ka sa Divisoria. Nagkalat ang prutas tulad ng mansanas, kiat-kiat, ponkan at ubas. May damit para kay baby, may shorts para kay daddy, may bestida para kay mommy, may pajama para kay lolo, may duster para kay lola. Hindi magkamayaw ang mga nagtitinda ng parol, mug, swiss knife, flashlight, office supplies, memo pad, relo, laruan, payong, lahat! makikita mo. Dito siguro mag a-apply yung sinabi nila na "Makikita mo ang hinahanap mo!". Kapansin-pansin din ang mga China phone na kaparehong-kapareho ng mga original. Dati nang may immitation ng Nokia phones, pero noong Sabado lang ako nakakita ng immitation ng Samsung, Blackberry, Sony Ericson at iPhone. Daig pa nila ang original, dahil ang China phones, may TV! Noong Sabado, may bago pa silang ino-offer, dahil may mga telepono na raw sila na Wi-Fi Ready. Sa'n ka pa? At sa loob ng bawat tindahan, sumilip ka at makakakita ka ng among Intsik. Maraming pure chinese. Pero karamihan, Tsinoy. Tsinoy, o Pintsik, sila yung mga cross breed na ng Pinoy at Intsik. Mga simpleng tao lang, mga simpleng manamit, pero siguro, walang sasalungat kung sasabihin kong sila ang nagmamay ari ng Divisoria. Dahil sila ang may ari ng business, sila ang kumikita. Ang mga pobreng pinoy (na kargador) at pinay (na saleslady), umaasa sa arawang suweldo. May napili kaming items. 45 pesos ata ang isa. Kung bultuhan, 35. Sabi namin, 30 pesos na lang, dahil 40 pcs naman ang bibilhin namin. Sabi nung Intsik, "kung 30 pesos nyo bibilhin, wala kaming 40 piraso. Pero kung 35 pesos nyo bibilhin, meron makukuha sa bodega". If there is one thing a Filipino would love to have, it is that of having his own home. And when he already acquires one, he will definitely do his best to make it as comfortable as possible. It is not only the interior designs, the rooms and the kitchen that Filipinos love to make comfortable. Most families, especially the rich, are spending lots of money to acquire a space for patios. A patio is a spanish term to mean backgarden or backyard, and is generally used for recreation and/or dining. And since the Philippines has once been under the Spanish colony for decades, it is not surprising to note that Filipinos have inherited some of the Spanish culture and architecture- which is why even the typical Filipino house and outdoor designs (walls and posts), and even accessories, like large vases, figurines, and Patio Umbrella, are similar to those of their Spanish origins. Nowadays, designers have started to modernize the outdoor settings by mixing other European and American concepts in reliving patios. Just as what is being shown in the picture on the left, there is a simple recreational backyard set-up with a built-in Outdoor Patio Umbrella with a state-of-the-art design that will surely captivate people who love beautiful outdoor accesories. What's more, an Outdoor Umbrella is actually much more than an added design in patios. It creates a place for people to gather for shade and relax while enjoying the garden scenery. And of course, it is best when you are chatting while sipping your favorite juice or fruit shake. The house to a typical Filipino is his number one place of comfort, that is why he always ensures that he will make every part of it as beautiful and as comfortable as possible- inside and out. As what we always say, we always go back to our Home Sweet Home. No matter how much people debate about the issue, it has become inevitable in the Philippines for politicians to pursue the bloc votes of various religious organizations. Vice versa, it seems that the churches have also made it a habit to use the pulpit to anoint or favor a politician. As it seems, this habit makes an informal endorsement of sorts. In 1998, the influential group, Jesus Is Lord (JIL) Movement led by Bro. Eddie Villanueva, conducted a rally at the Luneta Grandstand entitled, "Jesus' Declaration of Victory" (JDV). Looking into the title in pure context, there is nothing wrong about it, but just a clear statement of showing that Jesus is declaring victory for His people. However, people are quick to note that the title gives a double-meaning to endorse then presidential aspirant Jose De Venecia (JDV). History unfolded, and De Venecia lost via a very big margin vs Erap Estrada. Last Tuesday, President Gloria Macapagal-Arroyo formally filed her Certificate of Candidacy as Representative of the 2nd District of Pampanga. Before the filing of the COC, the President attended a catholic mass where the priest, Fr. Roland Moraleja likens Arroyo's descent (from President to Representative) as that of Jesus Christ. "Do not believe you are diminishing the power of the [Office of the] President. Ating metung a taung migbaba ba yang sumuyo—I Kristo (There was a person who came down to serve us—Jesus Christ)". If religious acts like these will continue on and on, no one really knows. But as long as there are religious organizations that benefit from the government and as long as there are government officials that benefit from religious organizations, it is bound to continue. The speculation that has surfaced since early this year has now been confirmed true: President Gloria Macapagal-Arroyo is gunning for Congresswoman in her hometown district of Pampanga. 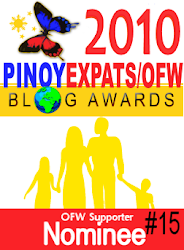 In March 2009, this blog featured that a lot of political analysts seem to think that PGMA is hinting on running as representative of the second district of Pampanga where his son, Mikey, is currently holding the position as congressman. The speculations are due to the fact that they have witnessed PGMA visiting the province more than 50 times this year 2009 alone. If rumors are true, PGMA has been pondering on being Speaker of the House come 2010, which can pave a way for her to become Prime Minister, if and when, a Charter Change on the Form of Government will take place. This morning, PGMA officially filed her Certificate of Candidacy after a mass organized by her townsmen in Lubao, Pampanga. Meanwhile, University of the Philippines professor Randy David, who previously said that he is up to challenge Arroyo if the latter indeed runs for Congresswoman, has now decided not to file his candidacy. While this has become a bad news for PGMA's opponents who claim that she is only doing it to stay in power and gain immunity from her graft cases, her filing of candidacy for congresswoman is definitely a good news for her constituents in Pampanga. If there was one show my wife and I have followed (almost) religiously for this year, that would have been Survivor Philippines Season 2 which was held at the beautiful Islands of Palau. Anyway, the show was finally over, with Amanda Cooley Van Cooll adjudged as the Survivor Philippines Season 2 Pinoy Sole Survivor. It is truly amazing how these castaways manage to survive even with the least resources around them. Whenever I watch them, I always remember the Castaway movie by popular actor Tom Hanks wherein he was so happy that he was able to create fire just out of making friction with two stones. It is indeed so difficult to be able to create fire that's why the moment Hanks was able to create it, he made it sure to create a fire pit in order to keep the fire from dying away. Aside from keeping it aflame, a fire pit also helps ensure that the fire is contained in one place to keep it from spreading. Fire pits may be made by digging a hole in the ground. Of course, the hole must be suitable as to the size of fire you wish to create and contain. As technology advances, people were able to design assembled fire pits and even pre-made fire pits. Now, fire pits are not only made out of necessity. People are already using fire pits as an additional accent and feature outside their homes. Commonly placed and lit in the gardens, an outdoor fire pit is a sure place wherein groups of people can gather together in a cold night to warm themselves up while chatting and/or having coffee. These makes an ideal setting in the gardens specially during this Christmas Season where many of your relatives will take a break from work and come home for the holidays. As for me and my wife, having to come and enjoy the heat coming from the fire pit will make us to remember how the Survivor castaways are trying to make fire and trying to keep it aflame. Have a great start of the month, everyone!